Paul, Ashley and Eileen at their WhitFest stall. 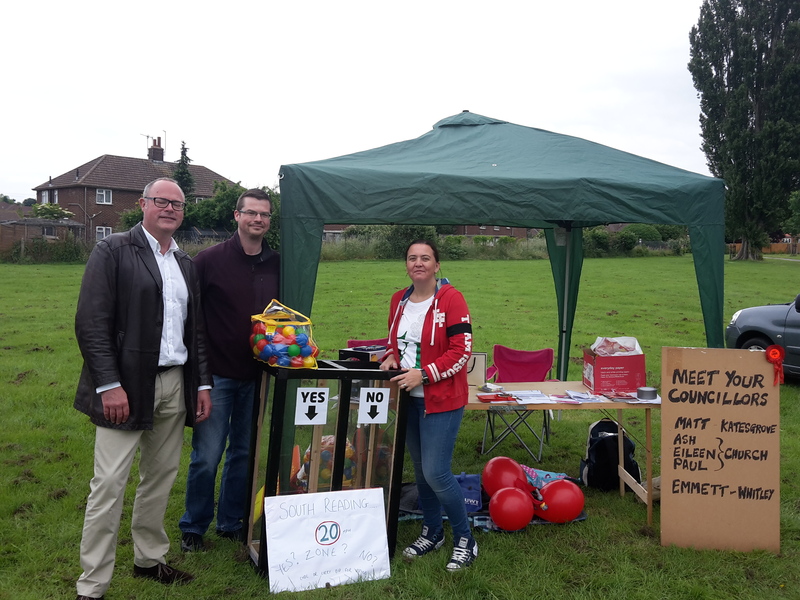 Church Ward Councillors were present at this year’s WhitFest which was again a great success. There was music from local bands and local schools, as well as different stalls including the pop up Whitley museum, the scouts and Reading University. Councillors were there to meet local residents and ask their opinion of the possibility of a 20mph zone in the ward. This entry was posted in Ward News on June 18, 2016 by Ashley Pearce.